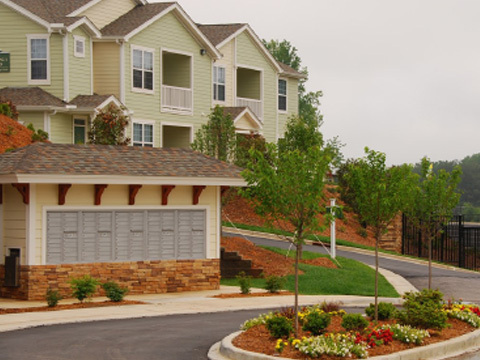 Springs-Apartment-Civil-EngineersBEA provided engineering for this 360 unit upscale apartment complex. Site plans were extremely dense and required the use of multiple retaining walls and very specific grading tolerances to accommodate ADA accessibility on the sloping site. The project required significant extensions of the City of Asheville’s water system, a private pump station and Buncombe County MSD force main extension to serve the community. The stormwater management system had to meet the City of Asheville Phase II stormwater requirements.